What an incredible week we had at the 2015 International Consumer Electronic Show! The conference was held at the Las Vegas Convention Center and Sands Expo Convention Center from January 6-9. Now that the biggest week in tech has finally wrapped up, we wanted to share what all the 160,000 people in attendance experienced at the show. We saw a ton of incredible emerging technologies, such as autonomous cars, 3-D printing, smart watches, and drones – but it was clear that the smart home/connected home category dominated the show. 2015 ushers in the year of connectivity. With smart home products making a huge splash this year, we anticipate that our lives will have the potential to be connected to a countless number of devices that’ll help us accomplish a number of use cases. All of these emerging smart home technologies and elevated consumer demand are creating great promise and momentum for Seedonk. To share with you the building blocks of the future, at our Quadrant/Seedonk booth, we showcased a new line of cameras from ImogenStudio, ranging from the +Cam Pro HD, the PTZ (Pan, Tilt & Zoom) HD and Outdoor HD. From the Seedonk side, we demoed our latest Video Analytics offering with People Detection that will be available in beta on our platform very soon. 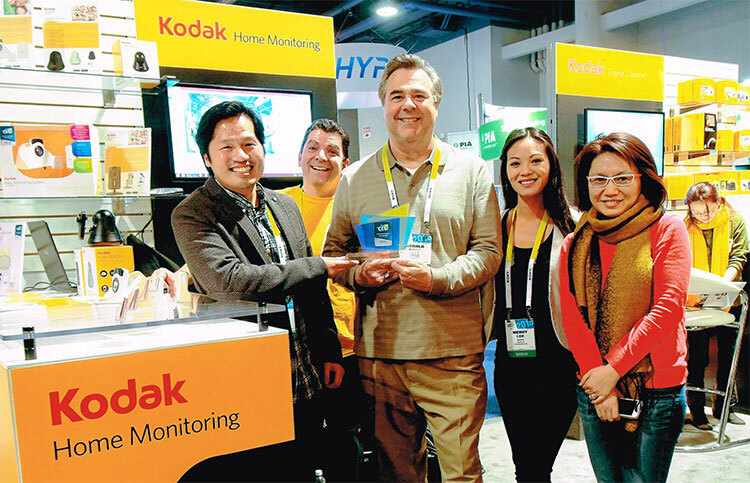 The PTZ HD and Outdoor HD camera made its debut at CES 2015 at the Quadrant booth. 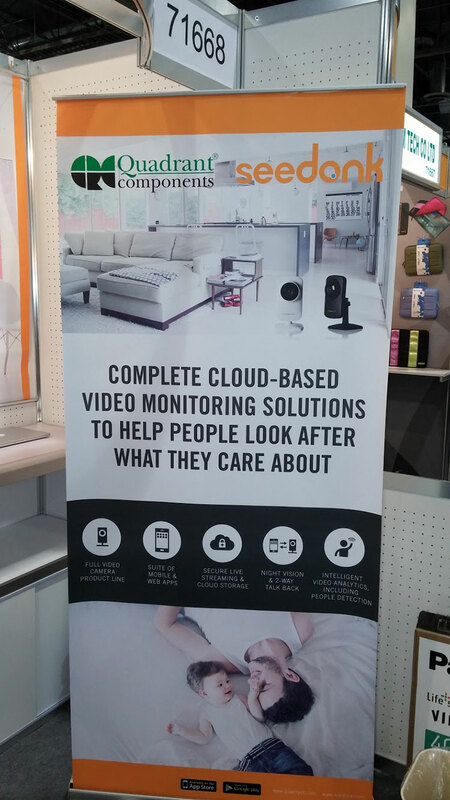 Seedonk was also in attendance and demoed People Detection, a new video analytics feature at the Quadrant booth. 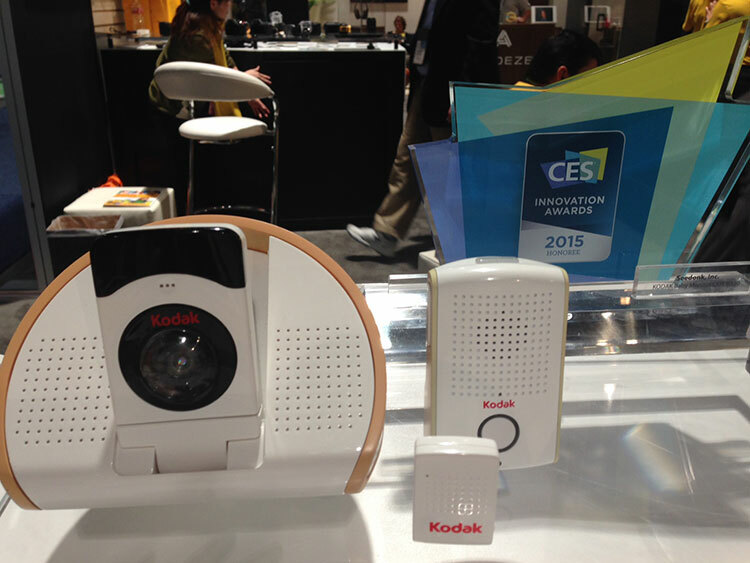 Meanwhile, at our brand licensee’s booth, KODAK, we unveiled for the first time, the KODAK Baby Monitoring System! We’ve partnered with the gold folks at KODAK to create a truly meaningful product to help you keep a watchful ear and eye on your special little one. We are also proud to announce that we were selected as a 2015 CES Innovation Award Honoree in the Smart Home category this year! It’s always such an incredible experience coming to CES to see what’s new and to gain feedback and inspiration from those at the show! Were you at CES 2015? Leave us comments and let us know what your favorite part of the show was. Also, for more information about the upcoming KODAK Baby Monitoring System or V10 and V15 cameras, please be sure to check out connectedfamilyhome.com.